Find My Workspace lists over 95% of the executive office suites market in Phoenix. Simply click Request Quote to check pricing for one office, or Add to Basket for multiple offices. Phoenix, Arizona - E Grant St. 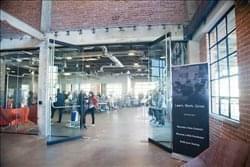 The Front Door of the Tech Industry Located in the revitalized Warehouse District, this center in Phoenix takes collaboration to a whole new level, with three levels of creators, innovators, and passionate learners. From events to the thriving startup ecosystem to the tech talent from the Web Development and Data Science school – Warehouse District campus provides the opportunity to learn, connect and build your company. This campus is full of energy, intelligence, and motivation – join the community and be inspired to level up. At this center you will find an elegant office environment that brilliantly balances contemporary style with timeless regional trademarks. Members enjoy extraordinary workspaces that combine the flexibility and community of a co-working facility, with the productivity, sophistication and personalized service that high performance professionals, entrepreneurs and start-ups demand. 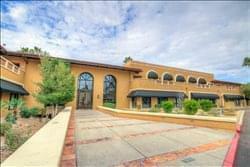 This flagship location is situated in the heart of the Biltmore. Members receive 24/7 access to private office suites, open workspaces, conference rooms, a theater, telephone booths, a 30-foot kitchen, secure printing, business class high speed fiber internet with the best available high-security architecture, coffee, beer and wine always available, fitness center with locker room and showers, all for one affordable price with month-to-month terms. 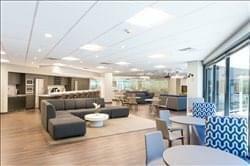 This co-working space provides a clean, professional, and comfortable place to work, train, entertain, and collaborate with other like minded entrepreneurs. This center supports the development of nonprofit organizations, start-up businesses, and ministries. The center offers affordable monthly memberships from 4 months to 12 months or a one-time charge for hosting events or training’s at the facility. The office is over 5500 square feet and can hold 75-100 people. The space provides all members 24/7 access to the building and their own set of keys. Members can use the address for their business and receive logo signage in the front of the building. 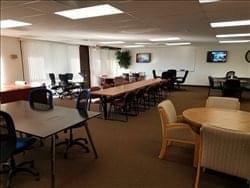 All members have access to the kitchen area, conference rooms, presentation room, and private offices for meetings with their clients. To obtain information for your selected Phoenix Executive Office Suites, please tick the "Add to basket" box for each office you prefer and complete the form below. We will then send a detailed report via email.